Eleanor turns two very soon so I’ve been looking at ideas for 2 year old birthday presents. I only want to get her one present so I need to narrow down my list! The Grimm’s Rainbow is absolutely beautiful and can be used in so many different ways. I’d love the 12 piece set but the 6 piece is more on budget for me. I can see us using it to build towers, tunnels for the railway track and so much more. The Grapat Summer are one of 4 seasonal sets. I adore the little Nins and I think this set gives a bit of variety as you get Nins, mates, rings and coins. Eleanor is an end of summer baby and I love the colours of this season. The range is also handmade and hand painted which is so lovely. 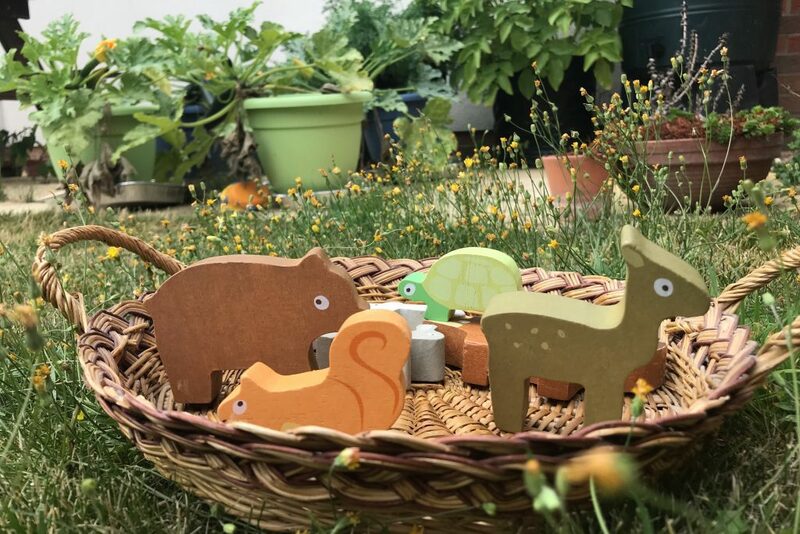 The wooden animals from Lanka Kade are so beautiful and affordable. I like the idea of buying all the animals from the Dear Zoo book for her to play with. I think she’d quite like the world animals bag too. The colourful natural ones are my favourites as then you get a bit of colour with the natural wood too. I saw the natural ones in Down to the Wood, a wooden shop in Lyndhurst, they look beautiful! 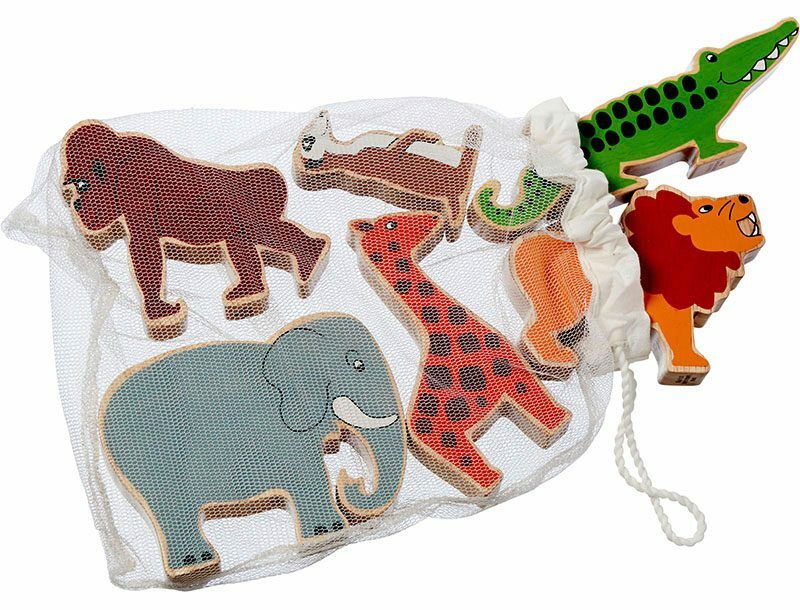 You could take your child’s favourite animal book and find the matching toys. The 50 piece wooden blocks from Goki are a mix of colour blocks and natural ones. They’re a variety of shapes and I think they’ll be great to make anything she wants. There are endless possibilities with this toy. These little blocks are magnetic and come in a variety of colours. I don’t know whether I love the natural or the sunset the most. I think these would be perfect for when travelling or to take a few to a restaurant to keep her entertained. I LOVE the look of the Triclimb! I need to convince my husband that it’s a good purchase. As well as something that can be climbed on, it can also be used as a den, with a blanket thrown over or a reading nook; it’s so open ended. I think it could be a great addition to Eleanor’s new bedroom (when we move her). It says “coming soon” on the website so maybe for Christmas….? I have to try and decide what to get her for her 2nd birthday. I’m leaning towards the Grapat Summer Nins but I think some Tegu blocks would be great too. I want everything but I’m trying to not buy her (or me) as much anymore. What do you think would make a good present for a 2nd birthday?